Errol Spence vs. Carlos Ocampo – who wins? 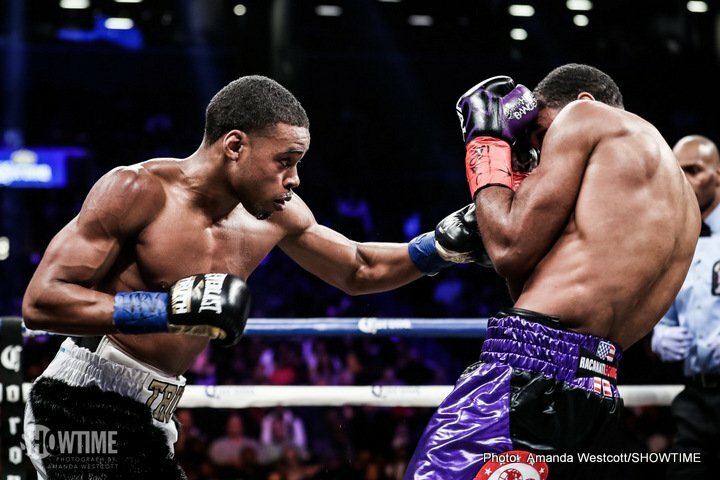 It’s no secret that reigning and undefeated IBF welterweight king Errol Spence, 23-0 with 20 KO’s, wants, no, is demanding, the big, big fights. In particular, the gifted southpaw who is a feature on plenty of current P-4-P lists wants a unification showdown with WBC/WBA 147 pound ruler Keith Thurman. But, as much as we fans would also love to see Spence get the big fights, it seems “The Truth” will have to play the big boxing politics game first. As per a news bit from ESPN.com, Spence, who scored an impressive first title defence over a game Lamont Peterson on Saturday night in New York, must make a mandatory defence, his first, against Mexico’s Carlos Ocampo next. If no deal is reached by February 22, the ordered fight will go out to purse bids. We all know how badly Spence wants to become the undisputed welterweight champion, and due to this desire he is likely to obey the IBF order and accommodate the unbeaten but largely untested Ocampo. But what kind of a fight can we expect if and when this one takes place? Still, as the Thurman and Terence Crawford fights are put on the back-burner, for the time being at least (and hopefully not for too long at all; the fans will simply not stand for it) maybe Spence can get what he wants next: a homecoming fight in Dallas, Texas in the spring or summer of this year. Ocampo would, as it has already been pointed out, make a perfectly fine opponent for such an event. Spence, as good as he is, will not be denied in his bid to become the best. Already, plenty of people are willing to suggest Spence is THE best welterweight in the world. With all due respect, it doesn’t seem as though anything Ocampo can do will change this view. You are here: Home / Boxing News / Errol Spence vs. Carlos Ocampo – who wins?